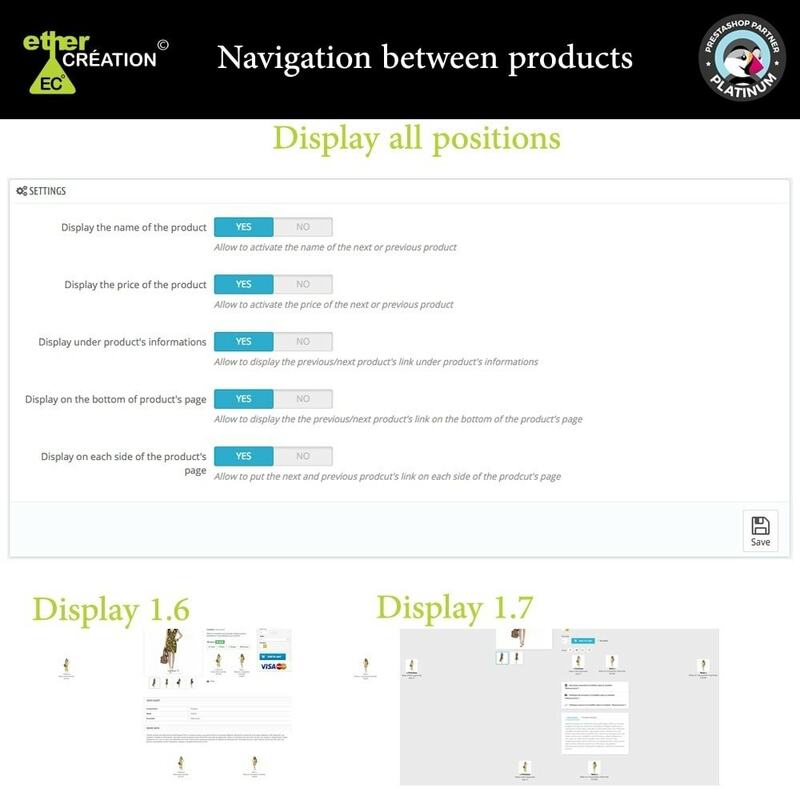 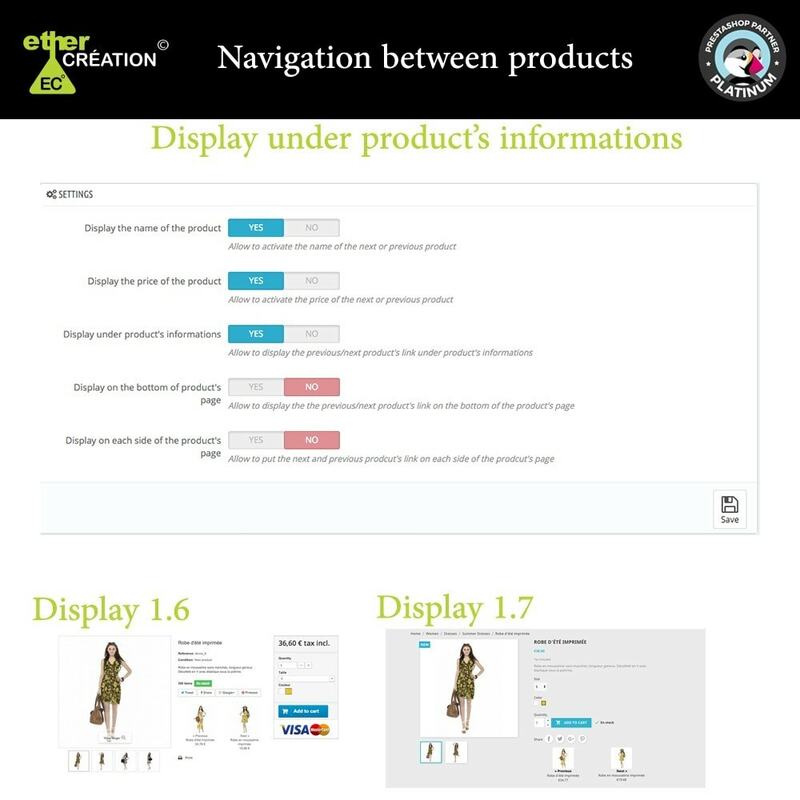 This module allow you to navigate between the next and previous products in the same category. 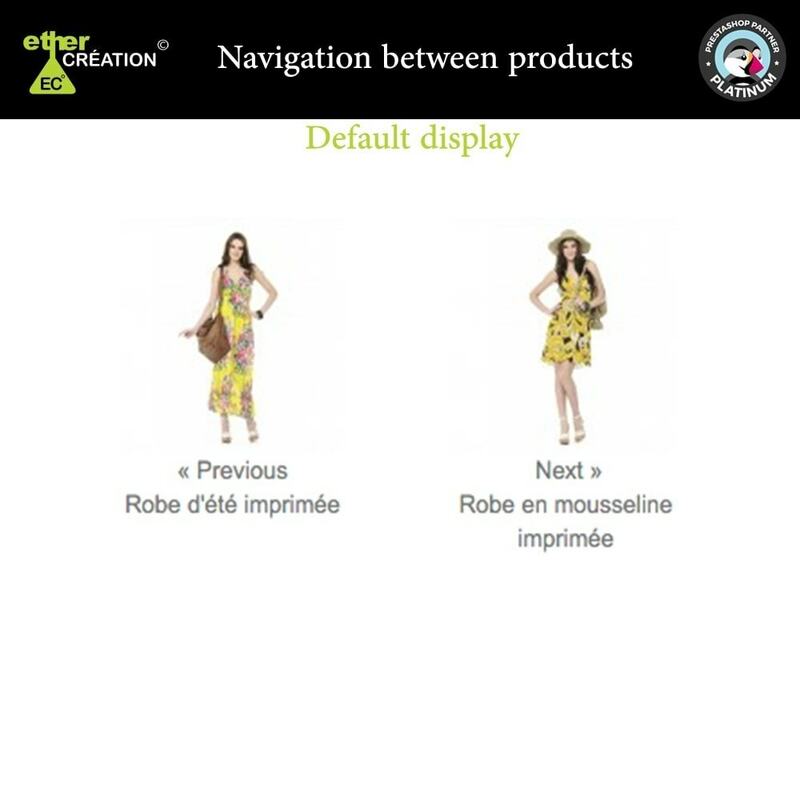 The default display got one button« Next » with the miniature of the next product and one button « Previous » with the miniature of the previous product. 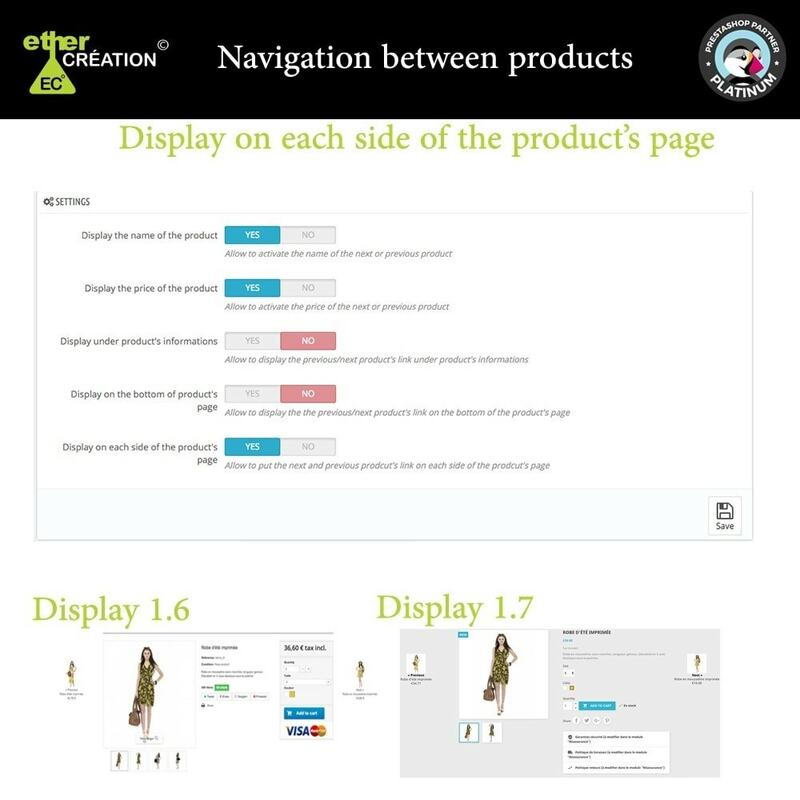 This module allow your clients to navigate more easily and more pleasantly on your website.